Blog Complete Program Design (CPD) is HERE!!! Complete Program Design (CPD) is HERE!!! Today is the ‘official’ release date for COMPLETE PROGRAM DESIGN ! The Response to my ‘VIP early release’ was great over the weekend so I want to continue to offer the FREE 1-year membership to coachdos.com Premium for those of you who are picking up COMPLETE PROGRAM DESIGN this week! AC: So Dos I have known you for a long time now but can you give my readers your background? DOS: Sure! Well, I have been involved in strength and conditioning for almost 27 years now. The vast majority has been with college student-athletes. I have been named the NSCA collegiate strength coach of the year (2006), I have written 2 best-selling books (Men’s Health Power Training and Cardio Strength Training), and I am a NIKE Pro Trainer and consultant. AC: So tell me about “Complete Program Design” – what is it and why is so unique? DOS: Without a doubt it’s the interactive workout cards. These cards work on virtually all platforms and make creating programs as simple as can be. Just choose your format, choose your exercises from the pull-down menus, and BOOM – your workouts are ready to go! AC: You have been training for a long time, what so you see as the most common mistakes trainers and coaches make when they design programs? DOS: I think I see a couple of common mistakes. I see many trainers trying to get too tricky and other trainers that tend to be too random. I always say that while designing programs is indeed a science, it’s not rocket science! Programs should be based on essential movement patterns, should address all planes of movement, and should follow a well-balanced format. I often see programs with far too much volume, too much emphasis on particular movement patterns, and programs that don’t seem to have any rhyme or reason. Once you grasp the concept of CPD, you will never need to look for another training program. AC: I’ve seen programs out there that have 10-12 completely different exercises in a big circuit, tying up 12 totally different pieces of equipment for 3-4 circuits.I have my own very equipped gym, AND a home gym. Even if I was the only person training in the gym, these programs are just logistically really difficult to do. What’s your take on this type of ‘workout setup’? Why do you think we see so much of this out there? DOS: Yeah I see this stuff all the time – I like to call them “whiteboard workouts”. These are generally off the cuff exercises that have little rhyme or reason, couple this with the logistics of having available equipment, moving from one exercise to another and you generally get an overall sloppy-fest that may result in sweat and anguish but not a real effective training session. In CPD I talk about creating circuits but even then THERE ARE SOME RULES we need to follow. A lot of ‘rule breakers’ and ‘outside the box’ trainers who don’t really know the rules and have no idea what’s actually inside the box. AC: What was the last workout you personally did? AC: Thanks for taking the time to answer my questions, I know people are going to FLIP for Complete Program Design. I have always appreciated your methodology. These are real world programs “battle tested” with real people in real gyms” and I think people will really benefit from this product! DOS: Thanks Alwyn, my pleasure…you know how much I respect you and your opinion. DO WORK! ** Of course this entire system is available in both hard format (DVD’s and Hard copy manual that will be mailed to you) and Digitial versions that will be available for you to view and download IMMEDIATELY upon purchase! 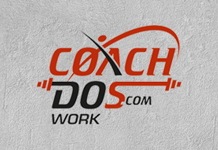 To Get set up with your FREE 1-year membership to coachdos.com PREMIUM simply purchase CPD thru this link, then email me with a username, password, and preferred email and I will set your membership up! 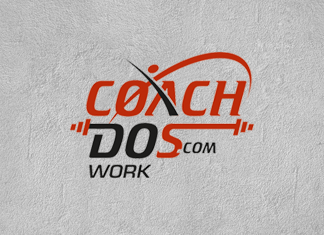 Remember – you can only claim the free 1-year coachdos.com premium memembership if you purchase through my link now! Check out the CPD promo if you want to get JUICED and ready to train!! P.S #2 folks, understand that I am not in control of this…..the Current sale price of $199 will be jumping to $299 in less than a week so please get the jump on this NOW!